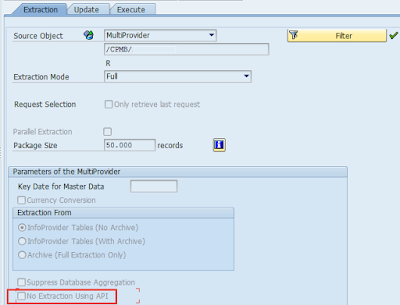 After migration to HANA DB one can observe a new setting on DTP screen. To be precise it is on header part of the DTP and it is called “SAP HANA execution” What it means is that in case it is checked then the DTP is executed directly in HANA DB. 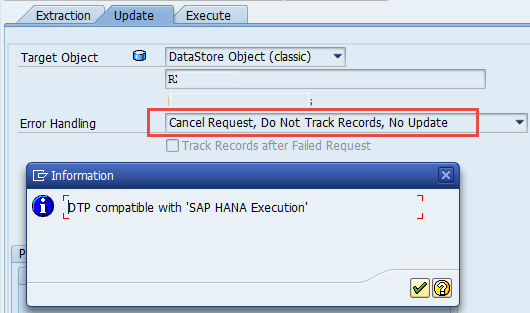 If it is NOT checked then the DTP is executed on ABAP AS and not directly in HANA DB. That means that the execution is not pushed to DB and there is no potential performance gains. So it simple runs like in BW on any other DB. To solve 1st error we need to enable another flag on the DTP. 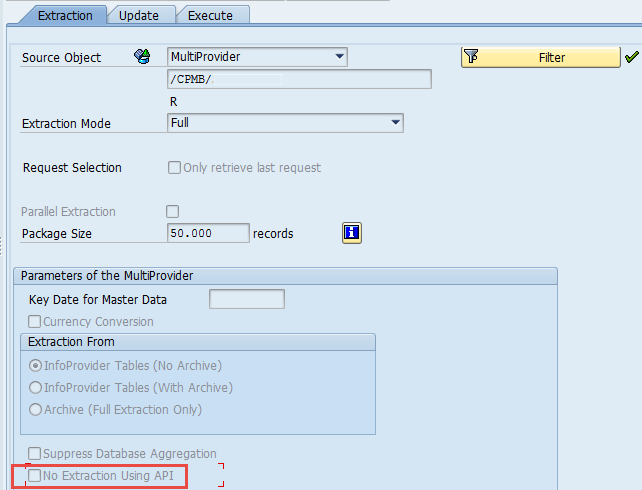 It is located at Extraction tab of the DTP and it is called “No Extraction Using API” (TREX_EXT_AGGREGATE). What it means is that even the DTP execution can be pushed to HANA it would be a case and it still will be executed at ABAP AS level. Obliviously we would like to push the DTP to HANA. So in case we switch to EDIT mode of the DTP and we attempt to thick off the settings. The second error message is related to error handling. This setting is available on Update tab of the DTP. And we need to set it to position “Cancel request, Do not Track records, No update”. Once we hit “Check availability” button located next to first flag “SAP HANA Execution” (see 1st picture above) then finally the DTP will be executed by HANA as we got info message “DTP compatible with 'SAP HANA Execution'. You may notice I briefly touched this topic at my other post called “Changes in BW system after HANA migration”.